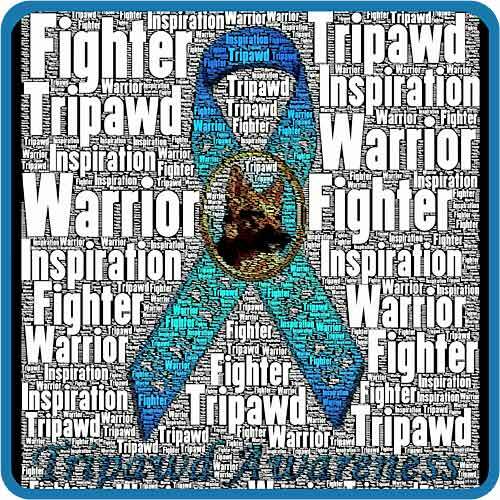 Many thanks to member bruiserbruno for creating this inspirational Tripawd Awareness design, now available on a huge selection of t-shirts and gifts in the Tripawds Gift Shop! Bruno was indeed a Tripawd Hero – a true inspiration, a fighter and fun-loving warrior. 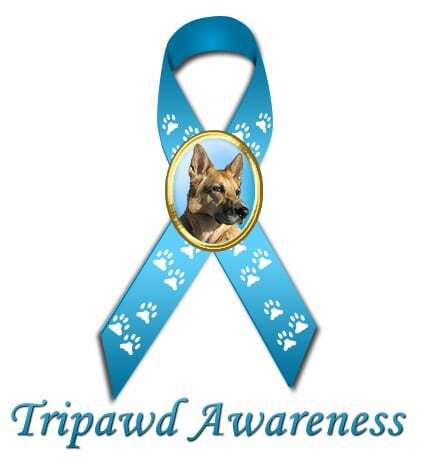 His mom created this new design based on the Tripawd Awareness Ribbon featuring Tripawds founder Jerry that anyone can put on their website to help spread the word that dogs are born with Three Legs And A Spare. The big news, however, is that we’ve added this design to the Customize This! section of the gift shop where you can personalize your own Tripawds apparel and gifts. But wait… we’ve also added this customizable design to our huge selection of Team Tripawds t-shirts and jerseys. 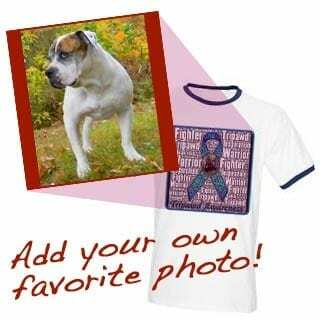 Now you can create your own custom Tripawds apparel with your dog’s photo or any design you create, and wear it with pride at canine cancer walks and other dog events. Share your creations with the Tripawds Community! Create your own custom apparel and gifts then post a photo in the discussion forums. We’d love to see you wearing your amazing pup or custom design. 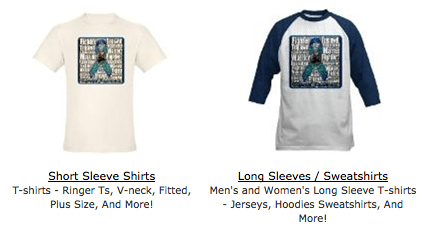 See all Tripawds apparel you can personalize!